Game streaming is one of the hottest topics in the industry right now, and the world’s racing to perfect it. No, the tech isn’t good enough just yet, but the promise of being able to offload the expenses of processing power could make games much more accessible to a much wider range of people. Google’s take on game streaming is coming soon, and it begins with by letting a select few play a brand-new blockbuster for free. Google’s Project Stream goes into a semi-public beta on October 5, offering a “limited number of participants” the opportunity to test out the tech for free. The beta begins on October 5, and will let those who make it in play Assassin’s Creed Odyssey for free. 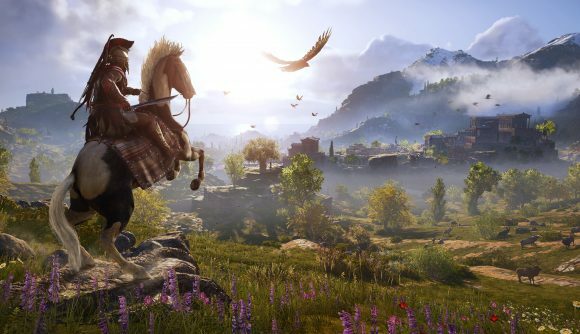 If that day sounds familiar, that’s because it’s the Assassin’s Creed Odyssey release date – yes, the latest AC is going out gratis to a select handful of potential testers. If you want to sign up, you can do so on the Project Stream website. You’ll need to be 17 or over, in the U.S., and have an internet connection capable of at least 25 megabits per second. Access will last until sometime in January 2019. You can see some footage of the streaming service in action below. The quality of this official recording doesn’t look great, though it’s tough to say how much that will show in the actual streams. It does run at 1080p/60fps, which at least means it’s smooth. Google’s streaming service has been in the works for some time, and the massive tech company has expanded its game industry reach with moves like hiring veteran gaming executive Phil Harrison. Game streaming might have had some less-than-ideal iterations in the past, but Google is a company uniquely equipped to solve those problems and make it a reality.